Lately I have been so busy trying to make good use of all the paper I’ve been hoarding. I can’t say enough about #loveitchopit and Kylie Bertucci Independent Stampin’ Up Demonstrator Australia! 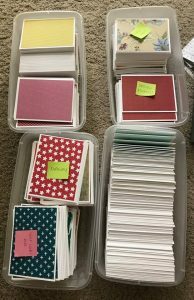 I had piles of paper and no idea what to do with them, now I have stacks of cards just waiting for a sentiment and be given or sent!